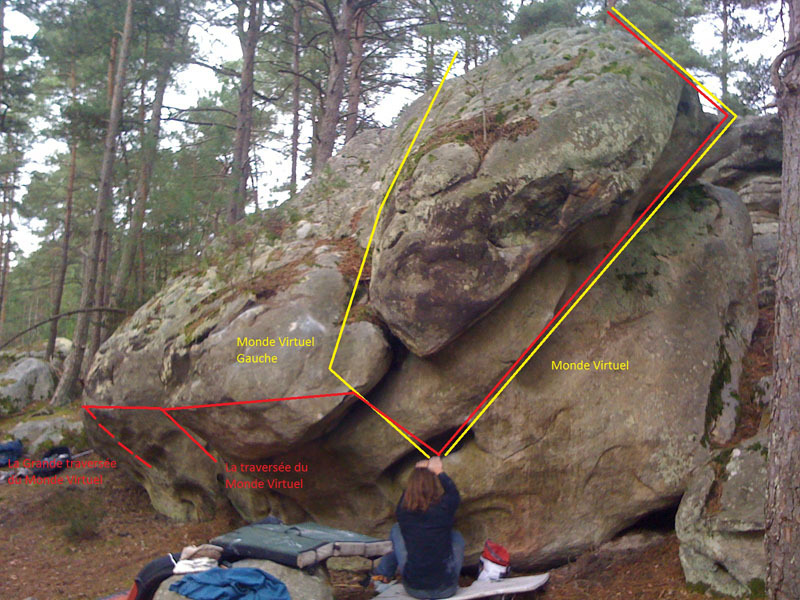 On a big boulder along Le Chemin de la Vallée Close, 100m past Yogi. Sitstart in the middle of the boulder, traverse to the right up to the sitstart of Monde Virtuel, follow an oblique crack and exit via the prow. NB : it is also possible to exit on the left by Monde Virtuel gauche (same grade).